How Far is Saiven Windchimes? In the heart of HSR layout nestles Saiven Windchimes, an ideal home for peace lovers of old Bangalore. Saiven Windchimes offers you the best of the two worlds, a location that everybody wishes and a neighbourhood that is a dream come true. 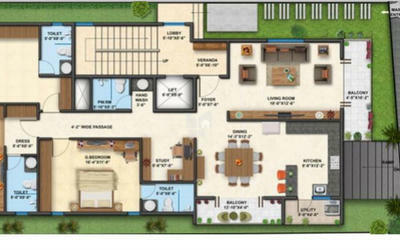 Every living space is substance and style spread over 2000 sqft that defines modern living for the affluent folk. 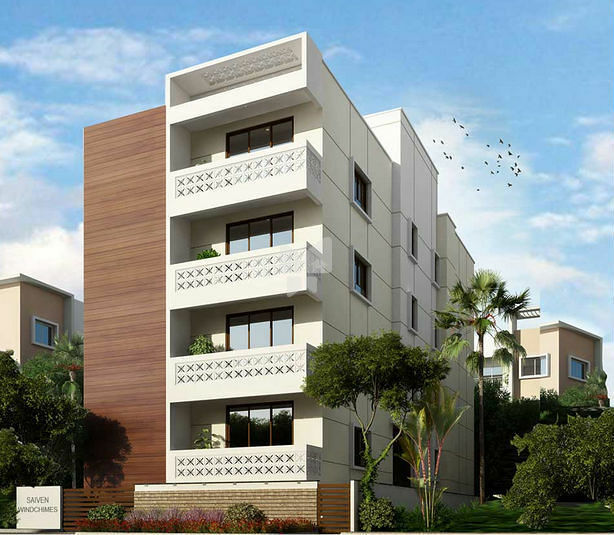 Each unit has 3 comfortable bedrooms, a spacious living, an intelligent kitchen, a handy study and balconies with ample of air and sunlight that make the perfect dream home. Entrance Door : Teak wood frame with BST, melamine polish. Godrej / equivalent Door hardware like door handle, premium quality lock, tower bolts and door stopper. Bed Rooms : MDF Flush Door painted. Premium quality lock, tower bolt and door stopper. For more than a decade, the SAIVEN family has been in the real-estate arena understanding value creation beyond our client's expectations. It is our dedication to design excellence and a steadfast focus on quality that has helped us form this organization. Our design features are inspired by a tradition of innovative leadership. The resources from award winning teams, our architects, interior designers, project managers and specialists work in flexible teams that are customized specifically for each project we undertake. After the grand success of “Saiven Marble Arch”- British Row Houses, “Saiven Caesars Palace” – Roman Row Houses, we are now launching our new project “THE HAMPTONS” – Luxury Resort Living.